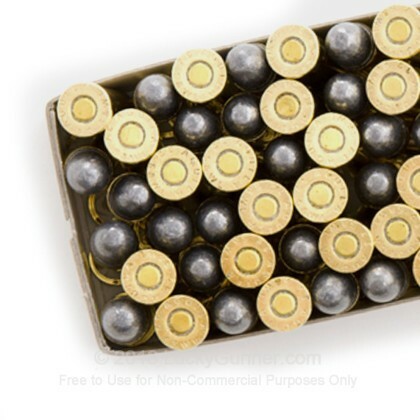 This ammo is brass-cased, non-corrosive, and excellent for target practice. 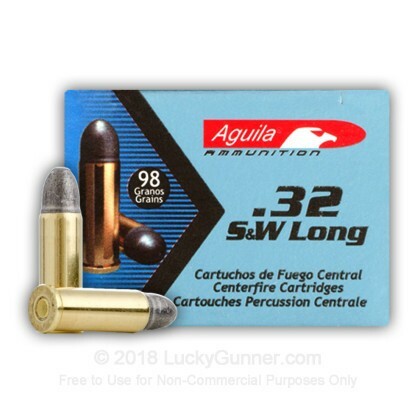 I was very pleased with this Aguila ammunition. It is well made and shoots great. 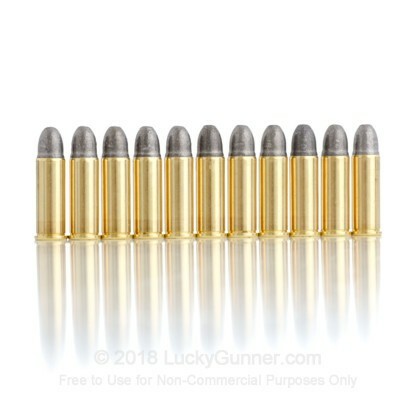 Some say it's dirty ammo, but I shot a box of 50, and both the barrel and cylinders were not that bad. It is a little higher then normal costs, but everything costs a lot more these days. Great value and shoots good.. Wife shot these in her Colt Police Positive. 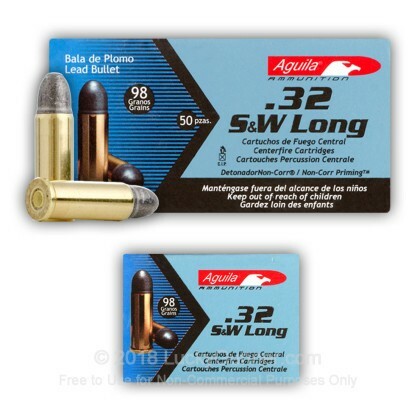 This ammo shoots as accurate as some of the more familiar names but cost less. Clean up was also good. Thanks LG for having this ammo and the fast shipping. Shot well out of my S&W model 16-4. Shot 5 inch groups at 75 yards using a rest. Very impressive. I had gun sighted 1.5 inches high at 15 yards and did not have to holdover at all at my 75 yard shooting. Ammo is very dirty so get ready to go through some patches. Price is a little pricey per box. 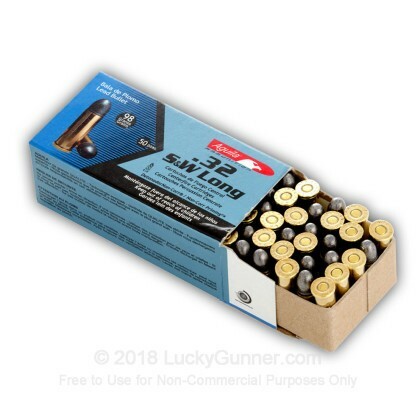 Get the bulk 1000 round case when it is offered again for a 15 cent per round savings. Great deal and fast delivery! 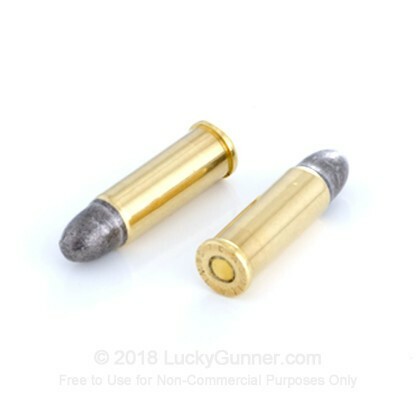 I shot these in my Colt Detective Special. They performed just as well as the more familiar name brands but at a much lower cost. Cleanup was easy and fast. 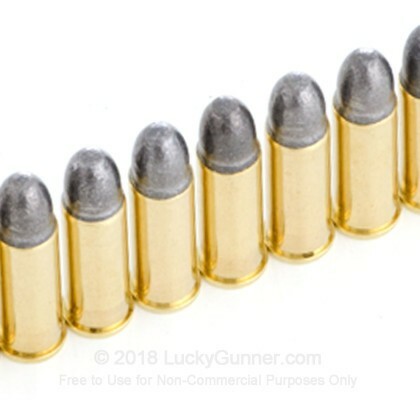 I found this ammo to be very good. It shoots consistently accurate from my Heritage Mfg. .32 SA Revolver, and has a lot of "zing" to it. The price was the best I found on the web, so I am very pleased with my purchase. Delivery was amazingly fast also. Thanks LG!! 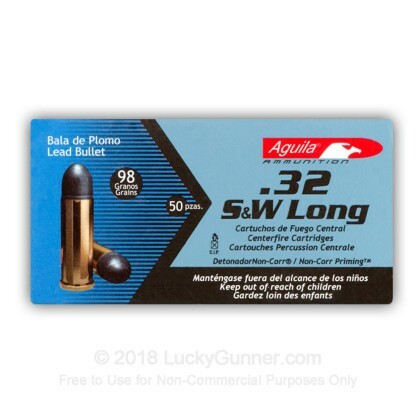 Q: Will this work in a Ruger 101 327 mag? 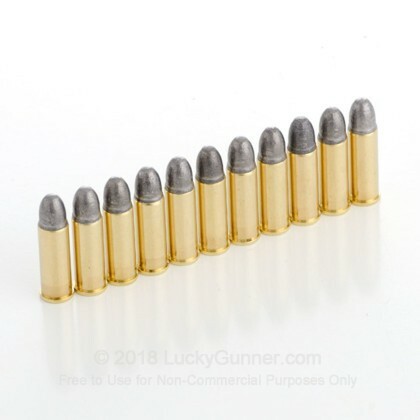 A: Hello Greg, Yes, you can safely fire .32 S&W Long rounds in a revolver that is chambered in .327 Magnum. 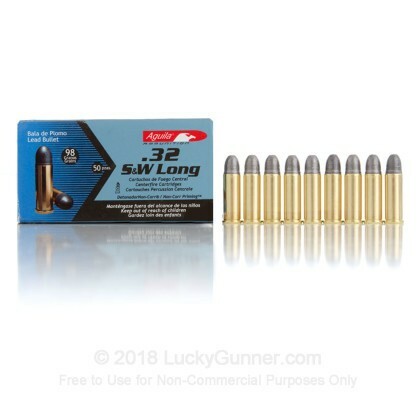 You shouldn't have any problems with these 98gr. 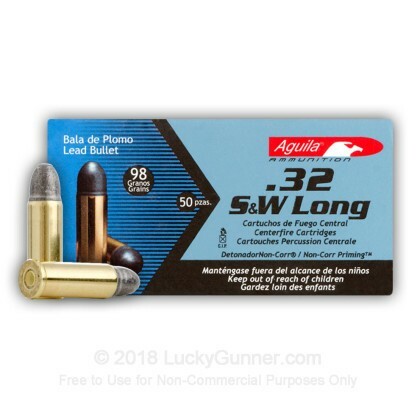 LRN rounds in your Ruger.